Despite the unseasonably, and in some places record, low temperatures Springtime is progressing. 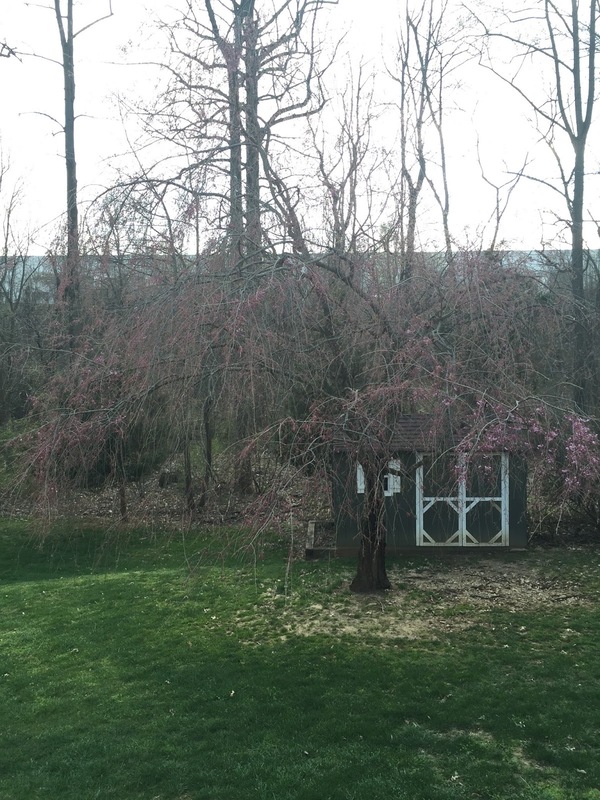 I can tell by the weeping cherry tree in my yard. 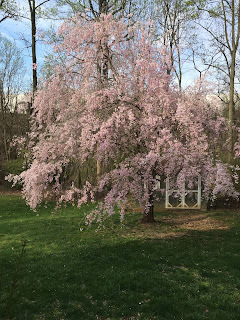 It has moved through the stages of blossom to become the stunning highlight of the season adorning my yard with pink blossoms of joy. 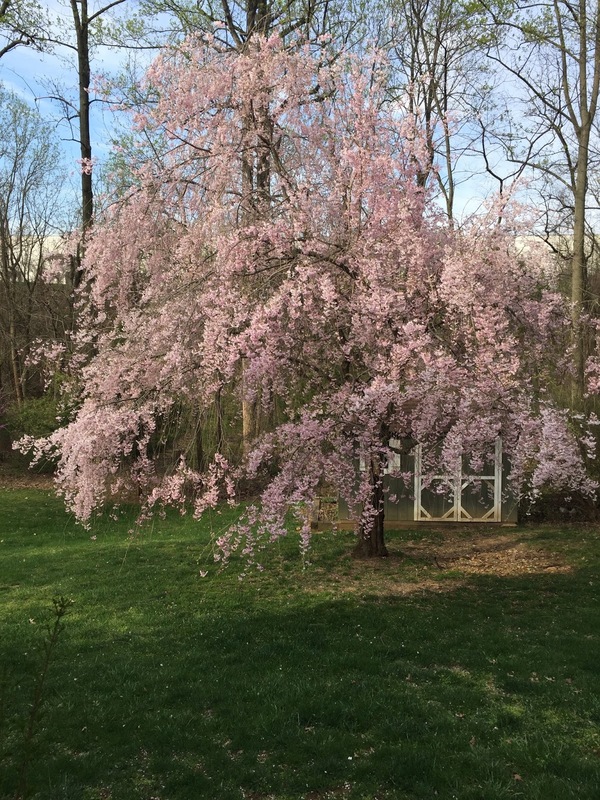 I decided to document the tree's progress because I do enjoy its display every Spring. In the beginning there were bare branches, but then the buds and small flowers began to appear. 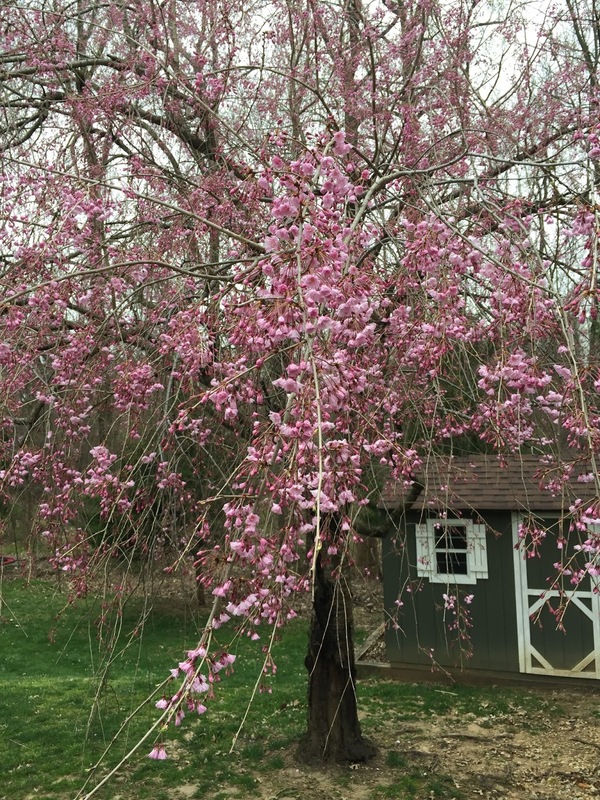 A short two days later, the small blossoms had become flowers--and the beauty of the tree began to emerge. Note that March 27th was also Easter Sunday and that I went on vacation to warmer climates for a week. But, when I returned, the tree was in full and showy flower, heralding the arrival of Springtime and the frigid weather that soon followed. When I took the image on April 4th, it was over 70 degrees--what followed by that afternoon was cold temperatures and wet skies that have effectively halted the advance of the season. 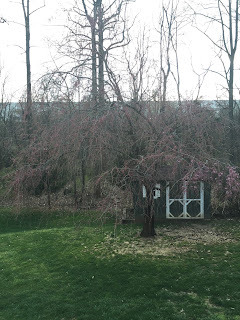 At least the tree remains in the yard--a beacon and rallying point for Spring, which will soon return even though there are no 70-degree days in the current 10 day forecast! So much for opening the pool in April!